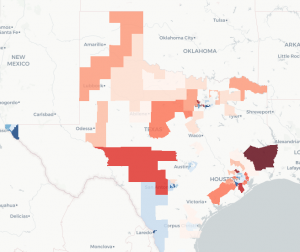 Here are some interesting recent stories about maps and data in the Houston area. I hope to make this a monthly roundup post covering areas of public interest, like crime, transportation, real estate, and population health. If you have a good project to share, please let me know! 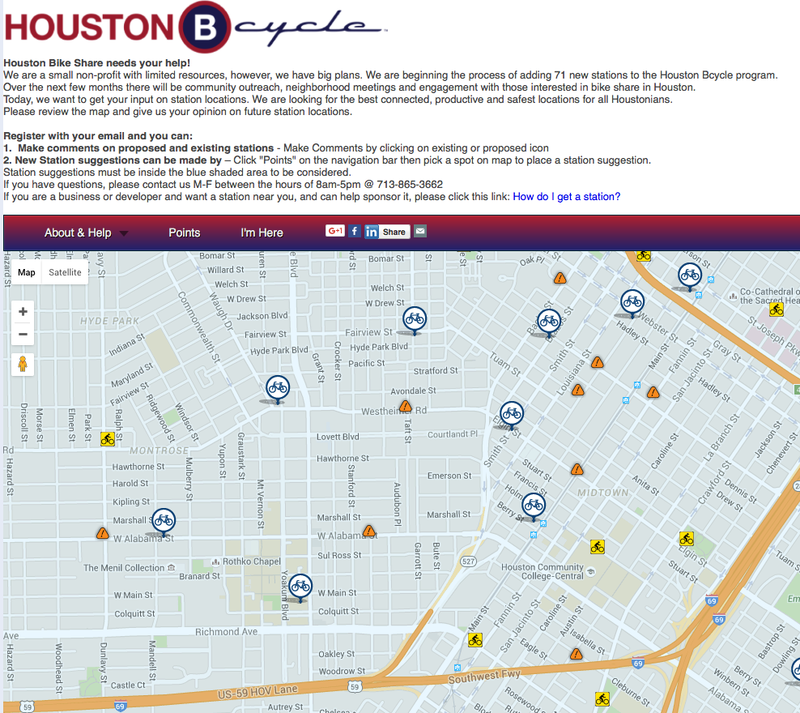 The Houston Bike Share program is expanding. They’re adding 71 new B-Cycle stations around the city, and they are crowdsourcing where to put them. You can weigh in here. Alongside this expansion, the City of Houston should redouble its efforts to make the city safer for cyclists. After all, if we’re encouraging people to bike around, we should at least make progress on reducing bicycle deaths. Christof Spieler, the guy behind the data-driven approach to METRO’s new bus network, posted that weekly local (bus+rail) ridership in November 2015 is up almost 10% from the same time last year. The change is generally well received, though not without legitimate criticism. Hopefully we’ll continue to see data updates from this program as it continues. 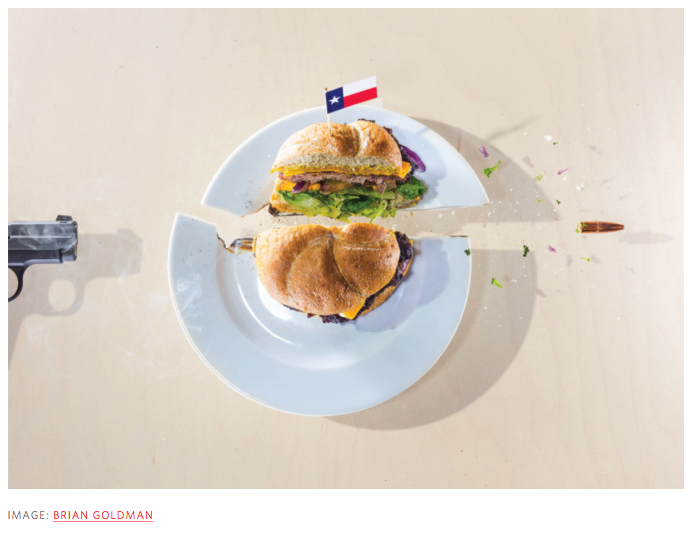 Houstonia Magazine has a great story about a couple of curious foodies who assembled a dataset of every restaurant’s stance on open carry. Regardless of your politics, it’s a great example of citizens seeking information after a significant policy change. Read the article here. 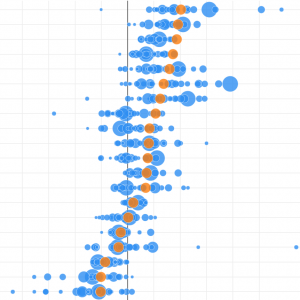 Check out the data here. Do you have feedback about this update? I’d love to know what you think. Please post a comment or send me an email.